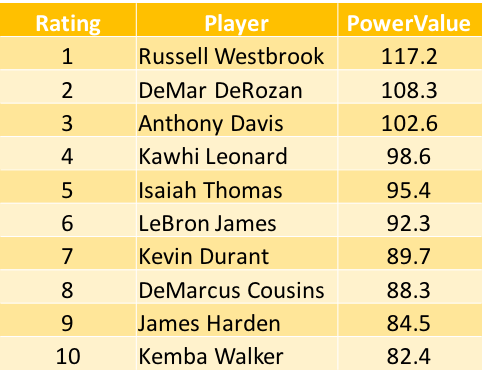 These values are a result of a massive collection of advanced NBA statistics to calculate a player's value. By subscribing for team PowerValues, you will be emailed the PowerValues for your specified team. These emails will be sent on a weekly basis unless specified otherwise. You may cancel your subscription at any point.